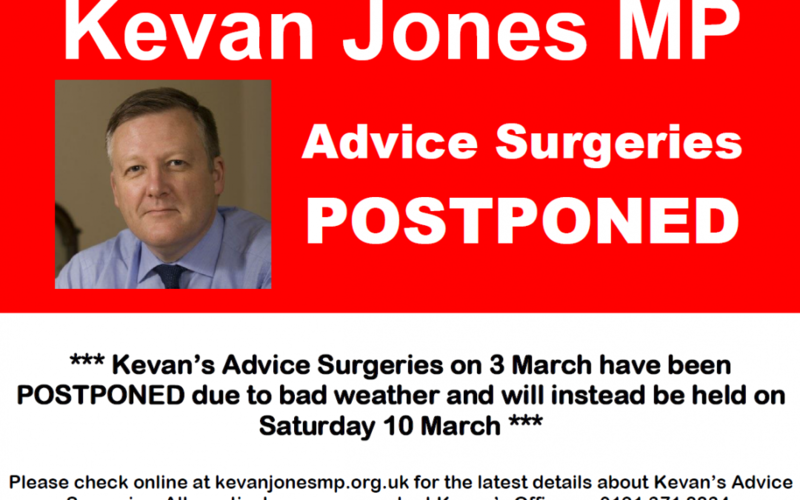 Kevan’s Advice Surgeries Tomorrow have been postponed to Saturday 10 March due to the bad weather. 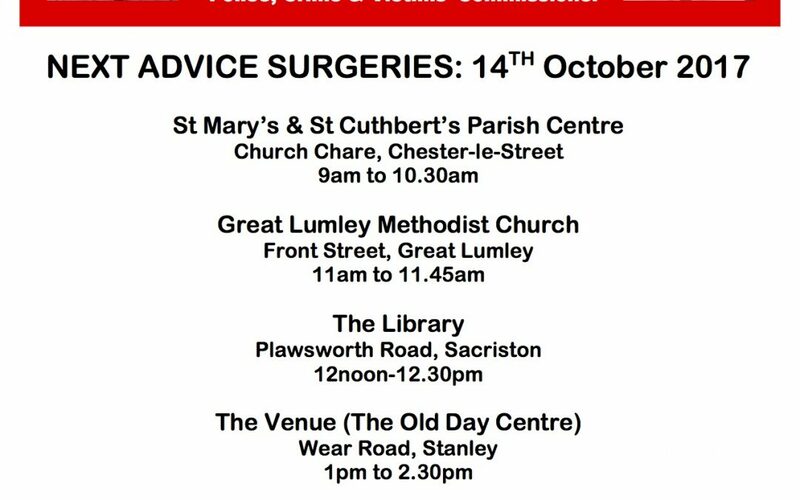 Please note that there will be no advice surgeries held on Saturday 7 October. 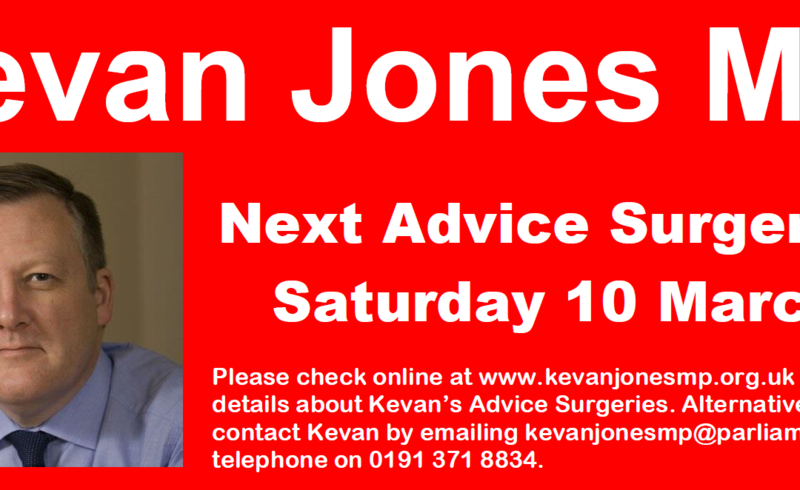 From Saturday 5 November onwards, Kevan’s surgery in Stanley will be held at The Venue (former Stanley Day Centre) on Wear Road.